GCL will return to the vibrant and lively city of Madrid in May for the first European leg on the circuit. Madrid is a globally significant capital which buzzes with sophistication and energy, with this event marking the fourth stop on the 2018 calendar. Madrid’s exclusive country club, the Club de Campo Villa de Madrid, will once again host the fiercely contested League at its equestrian centre, where the best riders and horses in the world will combine to compete in the stunning grass arena for their respective teams. The elegant Club de Campo Villa de Madrid is a well-known venue in the city and an important hub for those passionate about equestrianism. With excellent facilities and two golf courses - including one designed by the late Seve Ballesteros - this unique venue brings together elite level competition and the glamour of world-class show jumping in the historic Spanish capital. 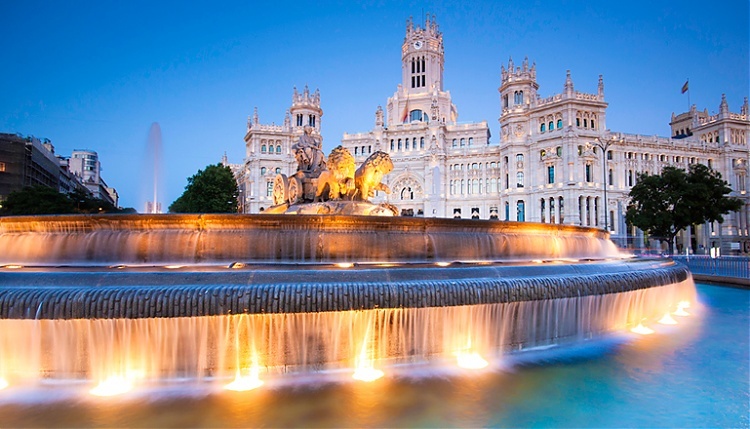 The show ground is only a few kilometres from the famous monuments and architecture within the heart of the city, including the Plaza de Cibeles, with its stunning Cibeles Fountain. Last year the Cannes Stars duo of Ludger Beerbaum and Marco Kutscher stole the show, after an impressive performance in front of the crowds saw them take home the prestigious GCL trophy.